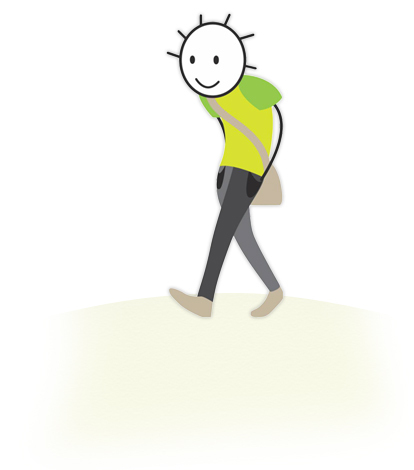 Making Tracks is a pedestrian training scheme specifically for Year 6 students, which aims to develop their awareness of roads and traffic, enabling them to travel more safely to secondary school and beyond. It has been influenced by the Footsteps pedestrian skills programme and follows the same format as Footsteps. This resource forms part of Buckinghamshire County Council’s programme for travel training as part of the transition to secondary school, New Journey. The knowledge that their travel choices can affect the world around them. Making Tracks is best used in conjunction with the New School, New Choices transition lesson, although it can be used independently. In 2007, 1,601 children aged 0 – 11 were killed or seriously injured on our roads compared with 1,489 children aged 12 to 15. May be distracted more often than younger children by their friends, mobile phones, and MP3 players. Help pupils become more responsible for their own safety. Pupils are taken into the local area with a volunteer tutor to observe the traffic and discuss road safety and challenges they will face moving on to secondary school. When they have successfully understood and demonstrated the concepts of Making Tracks, the pupil receives a certificate.